"Do you feel sorry about what you did?" The Orchard has debuted the official trailer for an indie drama titled Savage Youth, which premiered at the Slamdance Film Festival last year and stopped by a few other small festivals. The second feature from director Michael Curtis Johnson, Savage Youth is set in small town America following a group of young people. Based on a true story, six young lives collide in the most horrific and twisted of ways. Described as a "brutal examination of doomed youth exiled to society's edge." The film stars Grace Victoria Cox, Tequan Richmond, Will Brittain, Chloe Levine, Mitchell Edwards, J. Michael Trautmann, and Sasha Feldman. Looks like yet another forgettable kids-are-crazy indie flick. The lives of six troubled teens in a racially-divided town take a violent turn when drugs and broken hearts intermix. "Laced with expressive tirades turned performance art and tortured moments of intimate despair, this painfully truthful portrait of scorched America devours itself fully, without looking back." 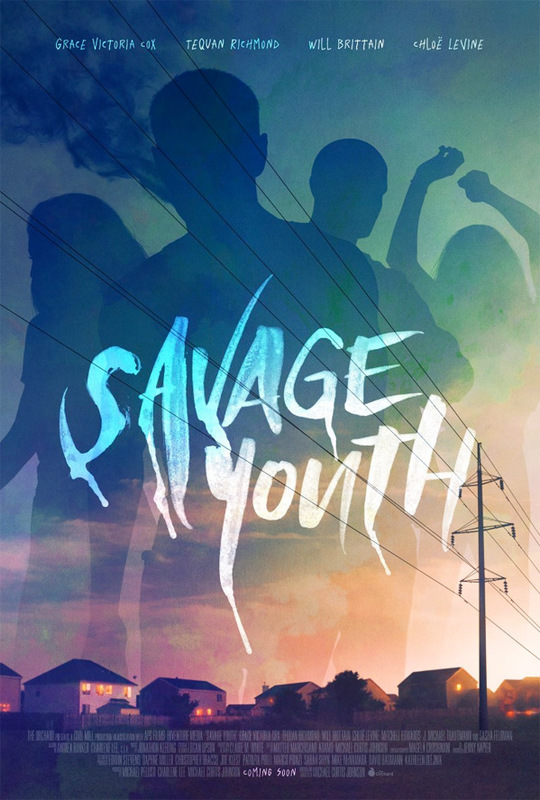 Savage Youth is both written and directed by American filmmaker Michael Curtis Johnson, his second feature film after making Hunky Dory previously, as well as a number of short films. This premiered at the Slamdance Film Festival last year year. The Orchard will release Johnson's Savage Youth direct-to-VOD on April 9th this spring. For more info, visit the film on Facebook or follow it on Twitter. Anyone interested?